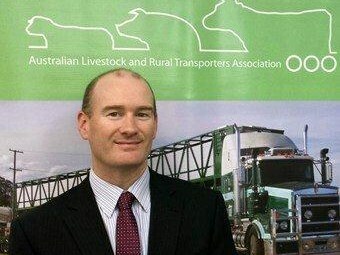 Proposed removal of deeming provisions and reverse onus of proof under Chain Of Responsibility means a strong focus is needed on likely prosecution powers, the Australian Livestock and Rural Transport Association (ALRTA) argues. With submissions closing today on the NTC’s Primary Duties for Chain of Responsibility Parties and Executive Officer Liability discussion paper, the likely new regime is a subject of considerable focus amongst trucking and logistics industry bodies. "The most concerning elements are those not fully explored in the NTC discussion paper – the definition of road transport operations and possible changes to investigative powers," ALRTA executive director Mathew Munro says. "We must also get these things right for the package to work as a whole." ALRTA points out that the loss moves will mean other regulatory powers will be bolstered. "Prosecutors will need more evidence to prove their case and so they will also need new investigation powers," it says. "Penalties are also likely to increase in line with those accepted under WH&S laws. "The ALRTA has argued that industry will need an opportunity to consider any changes to investigation powers to make sure that they do not over-step the mark. "We have also asked the NTC to have regard for the impact of increased penalties on small to medium transport operators that make up the bulk of the industry." ALRTA has worked with the Australian Trucking Association (ATA) to formulate an industry response that backs a shift towards the existing work health and safety laws (WH&S) approach and the ATA met recently with the NTC to press its case on various aspects. ATA national manager government relations and policy Bill McKinley argues streamlining and flexibility are needed. "Prescriptive laws prevent businesses from innovating and developing new approaches to improve their safety management and to increase their productivity," McKinley says. "Instead, best practice legislation uses general duties to establish the broad goals of the safety regulation. "Under a general duties approach, parties in the Chain Of Responsibility have to consider their operations as a whole rather than ticking off boxes. "Businesses with safety expertise can adopt their own strategies to deal with safety issues, while others should be able to rely on evidentiary codes of practice that give them a way of complying." The ATA has called for the NHVR to develop guidelines to approve industry codes of practice as a matter of urgency. "The availability of codes of practice with evidentiary status is an integral part of best practice safety regulation," McKinley says. "They provide assurance to businesses that if they comply with the code of practice, they are meeting their legal obligations. "However, no codes are available (apart from transitional codes in Victoria and South Australia), and the NHVR has not developed guidelines for approving codes. "The NHVR needs to put these guidelines in place immediately." ATA member associations South Australian Road Transport Association (SARTA), ALRTA and NatRoad were also present at the meeting, and agreed with the need to make COR consistent with best practice legislation. "What made this the best ever discussion of these issues was the almost unanimous view of industry and Government, including police, about the need to ensure that the customers are treated the same way with the same levels of accountability and liability," SARTA CEO Steve Shearer says. "This includes for ensuring, as far as reasonably practicable, that the heavy vehicle operations that they run or utilise are safe and compliant." For its part, the Australian Logistics Council (ALC) says its submission will argue that, by itself, imposing general duties on some duty holders "is unlikely to bring about improved safety outcomes without the development of practices and procedures that build operator capacity to comply with a general duty regime". "ALC members also believe that relevant compliance with an industry code registered under the Heavy Vehicle National Law [HVNL] should be a defence to any allegation that a duty holder has failed to comply with a CoR duty – or, at the very least, be evidence that the person has complied with their obligations," CEO Michael Kilgariff says. industry code registration guidelines must be developed so industry codes, drawn against the guidelines, can be prepared before the new scheme starts. One point of concern ALRTA raises illustrates the complexity of some of the issues being confronted. "It is widely recognised that the primary mechanism for reducing effluent production in transit is the application of appropriate livestock feed and water curfews before loading," it says. "But as we all know, livestock carriers are being held solely and unfairly responsible for the acts and omissions of other parties in the supply chain – namely, the person or entity responsible for preparing livestock for transport. "The intent of the HVNL is clear. "Animals are defined as ‘goods’ under the law and effluent loss is dealt with as a load restraint breach. "The chain of responsibility was fundamentally designed to ensure that any party in a position to control or influence on-road behaviour is identified and held accountable – so why is this not happening for effluent? "We are advised that the main barrier to prosecution under the current laws is the uncertainty about whether or not a person preparing animals for transport is a party in the chain of responsibility as defined under the HVNL." ALRTA’s submission argues for changes to the construct of the definition of consignor and packer to remove any doubt. It is also seeking to clarify the responsibilities of persons preparing livestock for transport under the Load Restraint Guide, pointing out that while the guide does contain a specific section on ‘live loads’, it does not address effluent.